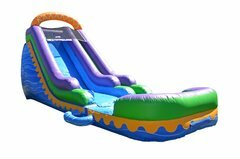 Slide down this Awesome Dual lane waterslide! 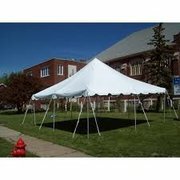 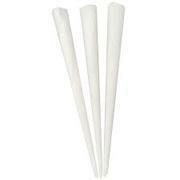 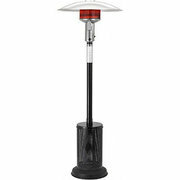 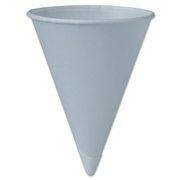 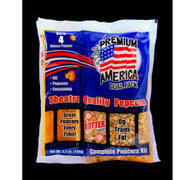 20 x 20 pole tents perfect size for your backyard parties!! 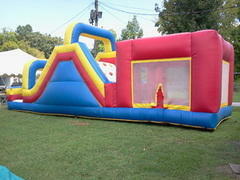 This 3n1 combo is the largest combo we have. 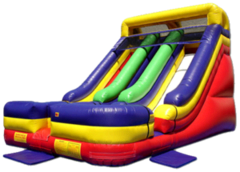 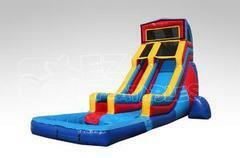 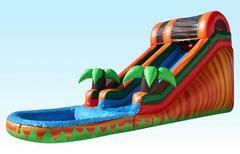 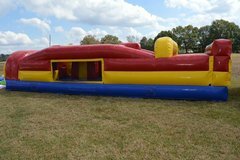 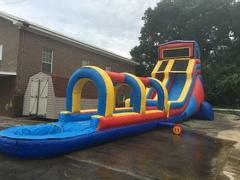 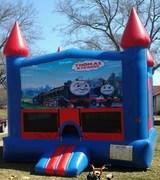 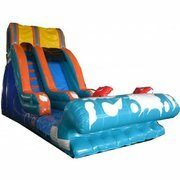 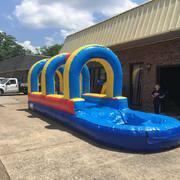 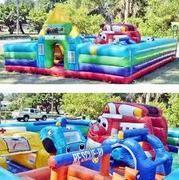 It is a total of 45 ft long with a massive 16 ft tall slide attached on the end. 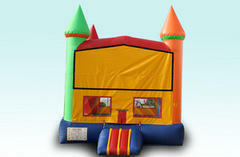 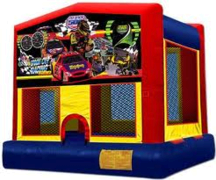 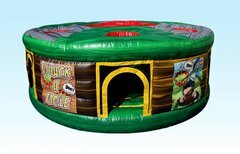 It also has a basketball goal on the inside of the bounce part. 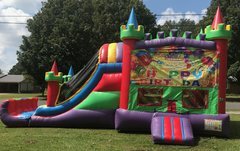 Fun for all ages!! 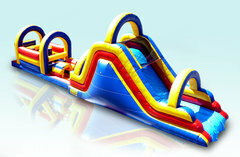 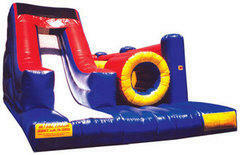 This 30 ft obstacle course is load of fun with 7 different obstacles, Tunnel and squeezes to go they! 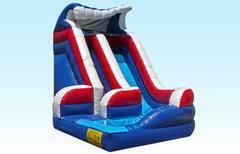 Race your friends down to a huge splash on our nw dual lane slip and slide! 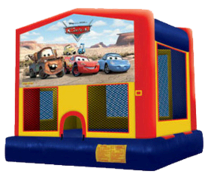 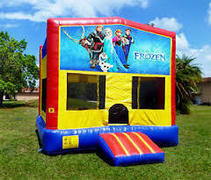 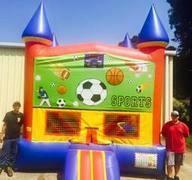 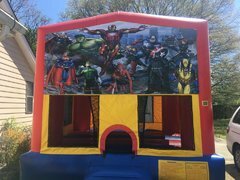 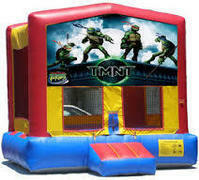 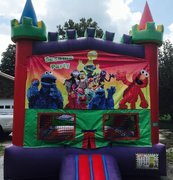 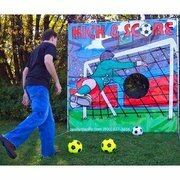 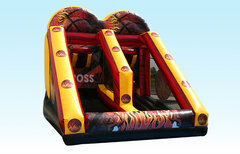 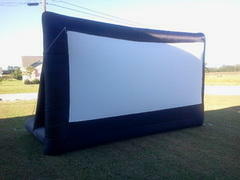 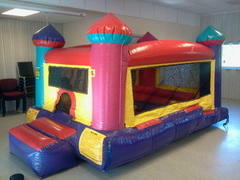 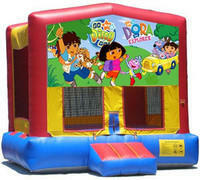 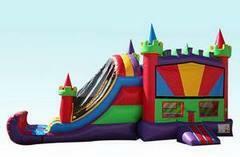 This awesome combo comes with a basketball inside and a 10 ft slide! 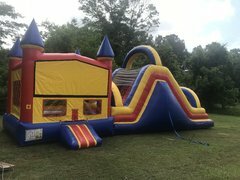 This 6n1 combo has the bounce area, basketball goal, climbing ladder, pop-up obstacles, and climb thru tunnel all in one unit! 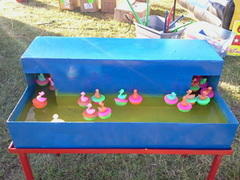 Very cute and colorful. 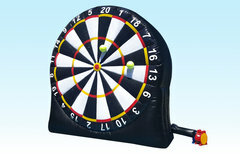 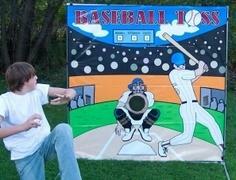 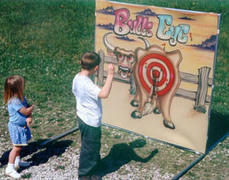 Kids try to hit the bullseye with the Velcro ball. 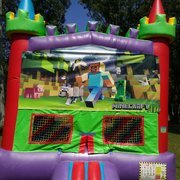 This is a mini frame game, standing 5' tall. 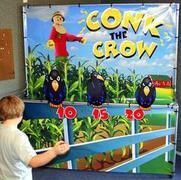 Kids love to throw the bean bags and knock down the crows sitting on the farmer's fence. 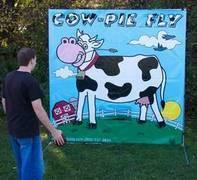 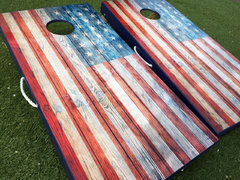 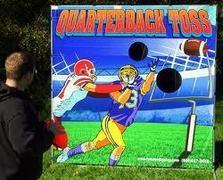 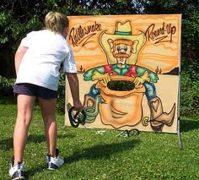 Everyones favorite Backyard game Corn Hole !! 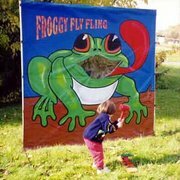 Fling the Insect in the Froggy's mouth to win the prize!! 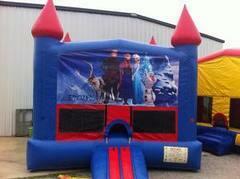 Celebrate your Holiday with a Photo Snow Globe. 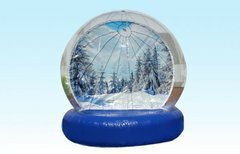 This Snow Globe can be used for numerous different Holidays - Valentines Day, Graduation, Easter, Fall Festivals, Proms and More. 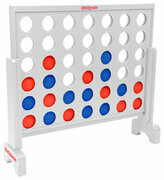 This is a jump version of the very popular Connect Four! 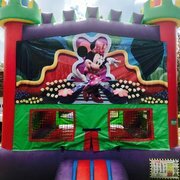 Our Lumibooth Photo Booth Comes with a Backdrop and the Photo stand with Ipad for taking pictures and sending via email to your account. 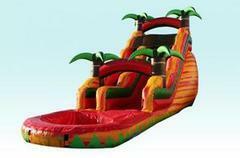 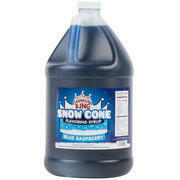 Perfect for any occation. 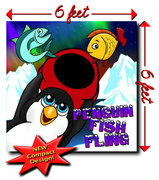 It's a feeding frenzy! 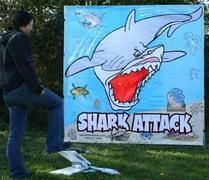 Shark Attack is Twister's wildest game yet. 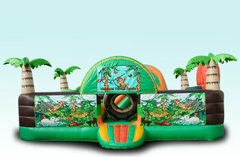 Players can come face to face with a giant man-eating shark. 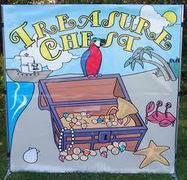 At 5' X 5', Treasure Chest is smaller than the traditional frame-game, making it much more convenient. 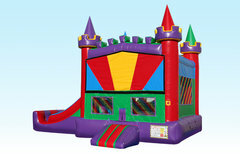 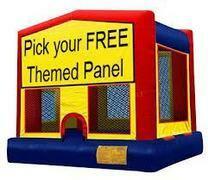 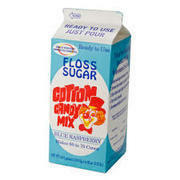 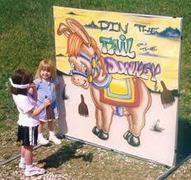 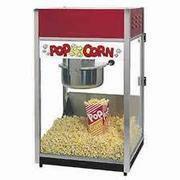 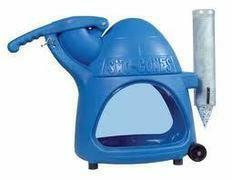 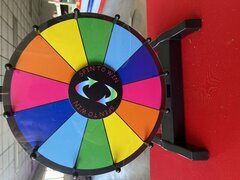 Ideal for birthday parties, children reach into the treasure chest and pick out a prize provided by the party host. 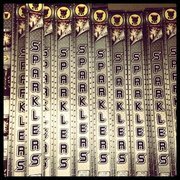 Wedding Sparklers are the new craze at wedding each pack sells for $4.95 with 4 Sparklers per pack!